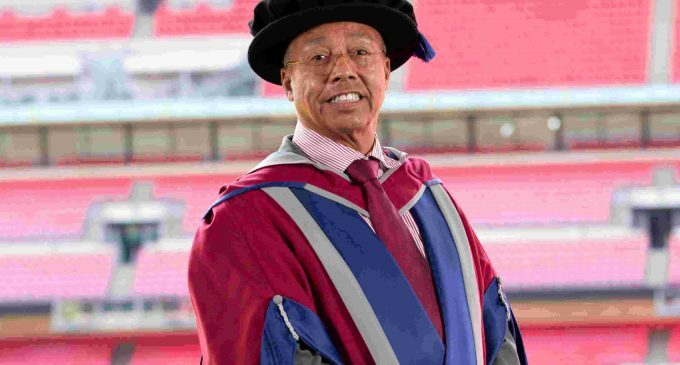 The Group Sales & Marketing Director, of CIS Excellence Business Innovation Award sponsor, Bidfood, has been awarded an honorary doctorate from the University of West London (UWL) for his services to the hospitality industry. Having previously been a guest lecturer at the university’s London Geller College of Hospitality & Tourism, Andy Kemp (pictured above) has been a driving force in raising awareness of some of the more pertinent issues facing the industry, including the protection of universal free school meals and the benefits of children’s attainment through good nutrition and hydration. His work with UWL is supported by an unwavering commitment to many of the industry’s leading charities and organisations including Springboard, Hospitality Action, the One and All Foundation and the British Hospitality Association. He said of his achievement: ‘Partnering with the University of West London gave me the opportunity to help broaden students’ knowledge around elements of food procurement, food safety and food distribution, as well as creating awareness of the depth of employment opportunities in foodservice. Bidfood’s chief executive, Andrew Selley, added: ‘For over three decades, Andy has championed positive change across the industry, both from within the business and beyond, via his voluntary work for many of the industry’s leading charities. Professor Alexandros Paraskevas of the University of West London, commented: ‘We are awarding this honorary doctorate in recognition of Andy’s lifetime contribution to the UK and international food industry. On top of his professional achievements as trailblazer, Andy has worked with many charities to advocate a better future for young and often vulnerable people.